Whisky tasting is always a pleasure: 7 or so variants, entertaining company and the knowledge, insight and passion of a true expert in the field. 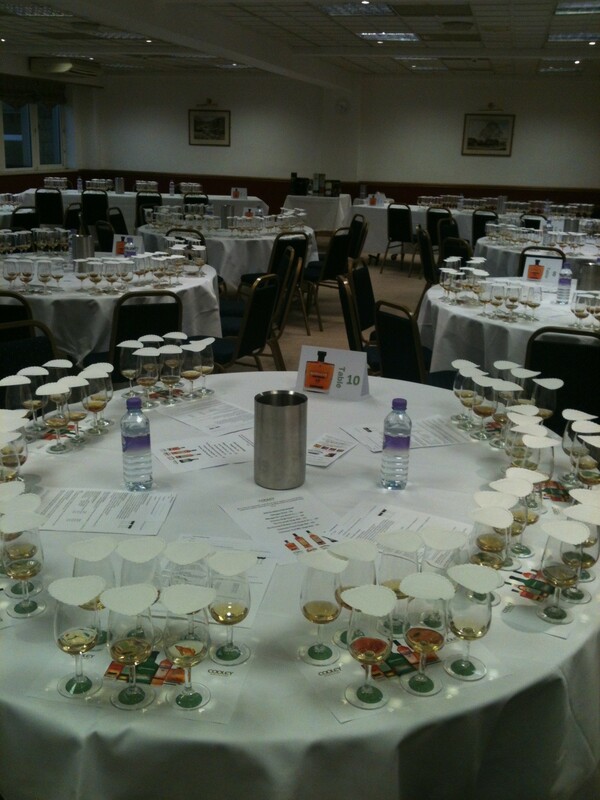 Thursday night’s tasting in Skipton, courtesy of the Wright Wine and Whisky Company, was no exception. But note the change in the spelling at the top of this page. This evening was all about WhiskEy. With an E.
Industry host for the night was Michael Moore from Cooley Distillery, County Louth, Ireland. And what a host he was – knowledgeable, entertaining and fiercely passionate about Whiskey, and of course Cooley. With a noisy crowd of near to 100, Micheal took us through the history of Whiskey, the loss of the distilleries in Ireland, and the subsequent renewed interest and steady growth to what it is today…and a glimpse into the near future too…!